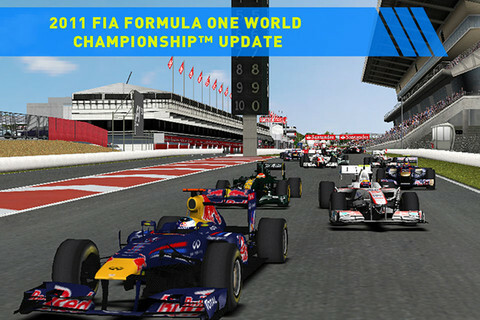 If you have been an addict of car racing games and software applications, then the F1 2011GAME™, by Jump Games Pvt. Ltd. can be the most entertaining option to be considered as it is also the only official version for the Formula-1 World Championship event. The most interesting feature is that now it is also available as an iOS app, rather than just being available on the Xbox, PS3 etc. Meaning you can now simply download and enjoy it on your iPhone, iPod Touch or iPad. The languages for which it is was designed to support include English, Spanish, French, German and Italian. As far as the features are concerned, the smartphones version of F1 2011 GAME is fully equipped with striking visual value , high graphic resolution and stunning audio effects. As compared to previous version of the application, the 2011 edition focuses more on giving you the opportunity to feel F1 as the real life experience. Inclusion of 24 cars, 19 racing tracks, quick driving supports, trained AI foes along with numerous advanced control mechanisms, F1 2011 GAME is ready to deliver you a thrilling and realistic F1 experience. Now you can race with your friends, break your own records, post the best finishes as exhibited by you along with lap timing, while enjoying incorporated Facebook functionality. The most admirable and enhanced qualities, however, are increased steering control and sensitivity along with more balanced touch steering. 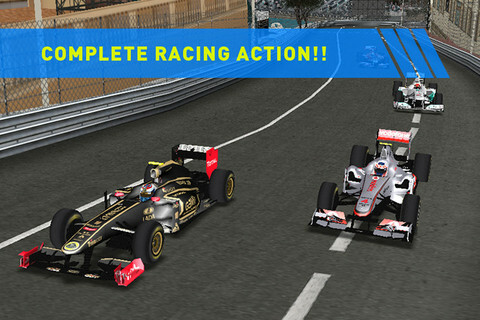 Regarding downloading the application, it is always recommended to close all the other running application on your iOS device, and then reboot it after successfully and properly downloading F1 2011 GAME from the App Store. Once you download the app you are now ready to experience your first Formula-1 race!